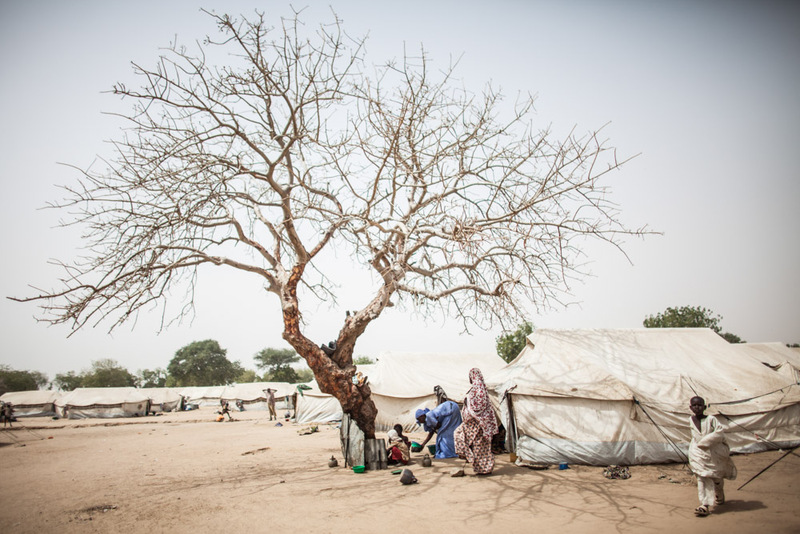 A woman feeds children taking shelter under a bare tree from the mid day sun at the Dalori Internally Displaced Persons Camp in Maiduguri, Nigeria. The Dalori IDP camp was established in March 2015 and holds close to 20,000 people from across Borno State. Maiduguri, the capitol, houses over 1.6 million displaced with over 100,000 in official camps and the rest living in host communities and informal camps across the city.